All parents fall short from time to time. But Susan Forward pulls no punches when it comes to those whose deficiencies cripple their children emotionally. 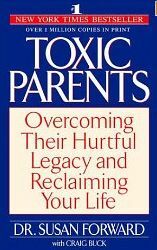 Her brisk, unreserved guide to overcoming the stultifying agony of parental manipulation--from power trips to guilt trips and all other killers of self worth--will help deal with the pain of childhood and move beyond the frustrating relationship patterns learned at home.